Weston Painting Contractors are a high quality painting and decorating company which predominantly specialise in protective and decorative coatings for commercial and Industrial businesses throughout the UK. We also have a subsidiary division covering private and residential projects. We recognise that our activities have an effect on the environment and acknowledge our responsibilities by demonstrating our commitment to minimising that impact by continually improving our environmental performance. Ensuring compliance with current environmental legislative requirements. Ensuring effective management of resources (both financial and physical) thus reducing our impact on the environment. Influencing specification and application processes to ensure environmentally effective selection of materials and working methods. 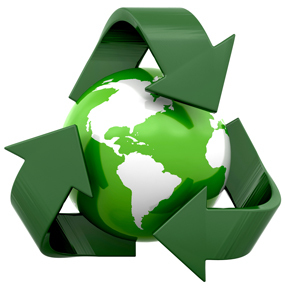 Recognising employee’s environmental awareness and concerns and integrating environmental management into our training. Encouraging our sub-contractors, supply chain and clients into participating in the achievement of our environmental goals. Continuous improvement year upon year. Identify and manage environmental hazards and risks. Influence choice of materials and working processes. Provide a swift response to environmental incidents and emergencies. Promote the achievement of environmental accreditations. This policy is intended to promote and achieve protection and enhancement of the natural environment whilst improving and maintaining the build within that environment. Regular monitoring of our environmental performance will be made and progress toward our goals will be reported upon. We will specifically report on four key target measured areas. These impacts and responsibilities are addressed through the continued development and implementation of our Environmental Management System.